September 2016 saw the introduction of a new ritual at ISB: Passion Day. Differing from the typical school day, during Passion Day children plan and choose activities to participate in. They may spend the day skateboarding, playing chess or reading a book. 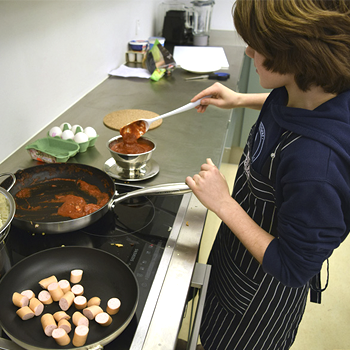 This picture of practice chronicles how the Passion Day ritual is evolving in the Food Lab (a teaching kitchen in the school) because of middle school teacher Lene Holm Christensen’s reflection on choice and her desire to make the day “more passionated.” How Passion Days contributes to the school’s culture of learning through play is also considered. Use the link to the right to download the full Article.